Very cool – any chance we could get the SVG source for that “sketch” logo? It looks great. It’d make a really great start to a graffiti-style wallpaper. 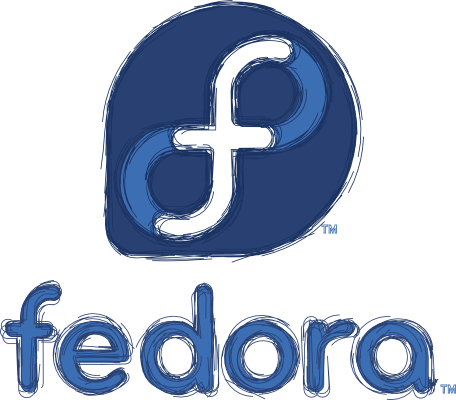 Hi Jens, I can’t actually distribute the source because of the licensing restrictions around the Fedora logo. However, if you email logo@fedoraproject.org (see http://fedoraproject.org/wiki/Logo) then I can get you a copy if you agree to the logo usage conditions. How did you make that in Inkscape? Please say, so I could overuse and abuse it. Gimp’s mosaic plugin is getting old. Eitan, I’d be glad to tell you how. 🙂 You need inkscape .47 (well .46 beta.) It’s in Fedora 11, and I have a package for Fedora 10 if you need it. Open up a piece of vector artwork in Inkscape and select it. Then go to paths > path effects, it’ll open up a palette on the right. From the drop down pick the ‘sketch’ affect and hit the ‘add’ button to apply it. It’s as simple as that! So in the end you managed to build the srpm… Have you used one of the new filters for this effect or is made by hand?